The number of projects using biobank samples for research is constantly increasing. At the same time, requirements on quality of biobanking samples are increasing because of the growing spectrum of potential methods for different analyses and applications. The further development of biobanking processes depends on a deeper understanding of biobanking processes, to keep quality of biobank resources up-to-date with research. Hence, there is an essential and demanding requirement for training of experts in the field of biobanking, e.g. of well-structured postgraduate training programs. The distance learning master course „MSc in Biobanking” is organised to be completed within four semesters (90 ECTS Credits) and the curriculum is comprised of 13 modules. It is open for graduates with a bachelor degree in medicine, technical specialists and graduates in natural sciences (biology, pharmacy, biotech etc. ), who have interest in the field of biobanking or wish to specialise or broaden their professional knowledge in biobanking. Also people with a respective expertise working in biobanks may apply. The goal of this course is to acquire knowledge, experience and practical skills which will qualify for working in the multidisciplinary field of biobanking. Therefore, knowledge and skills that will be educated include areas such as (1) organisation of a biobank, (2) implementation of a biobank in the health care system and in existing research infrastructures, (3) representing a biobank and networking in the national and international area, (4) sample management including pre-analytic handling, logistics, storage and shipment, (5) quality management, (6) ELSI (ethical, legal and societal issues of biobanking), (7) biobanking IT-landscapes and needs, (8) biobank budgeting, business planning and sustainability and others. The first course will start on 1st of October 2016. 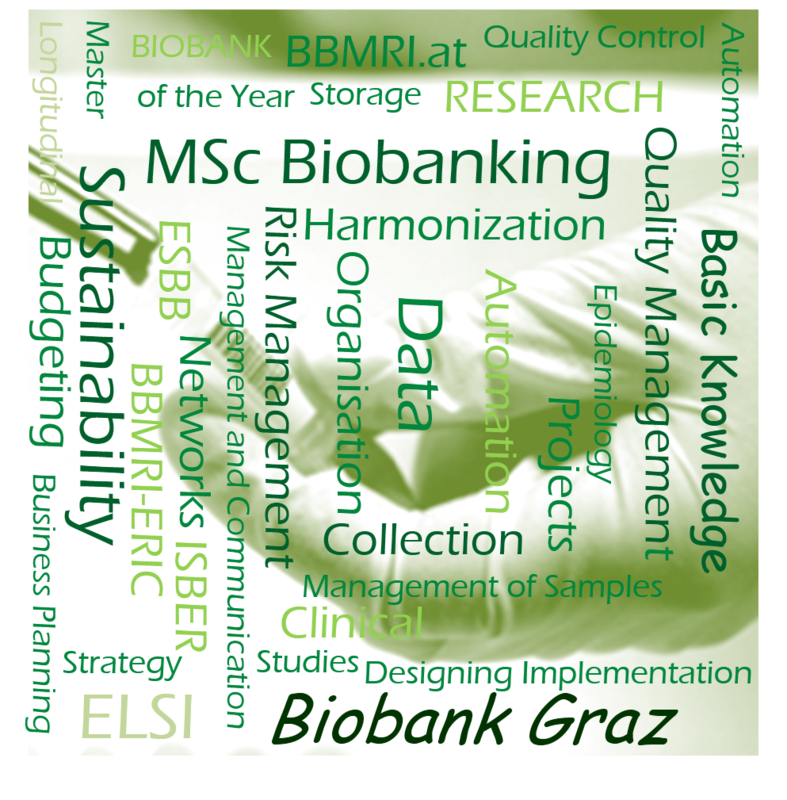 For detailed information on this course please look at our homepage: www.medunigraz.at/mscbiobanking. Read about the start of the Master course here!